Solamagic Events is Lagos Nigeria based Event management company that specializes in event planning, event coordination, event styling, bridal & baby showers, birthdays, weddings , cooperate events planning and not leaving out our wonderful ever smiling set of ushers that help give a spark and a helping hand at your program. 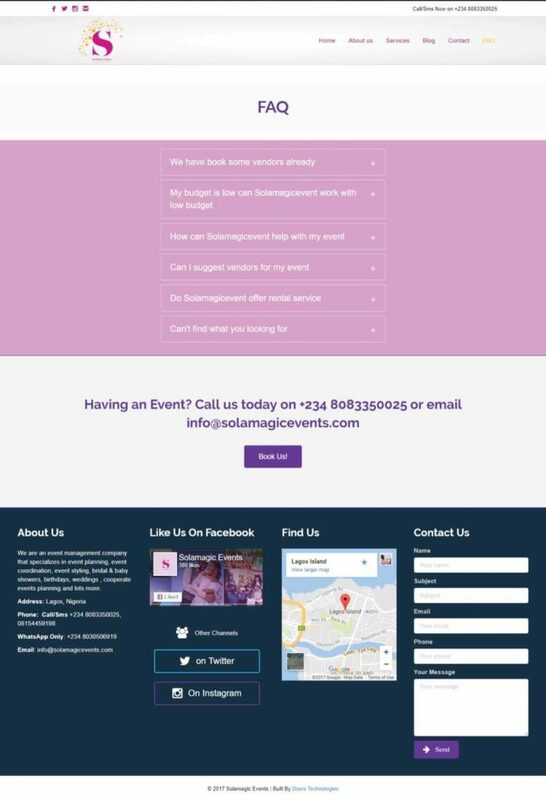 Solamagicevents.com website was built using CMS darling WordPress, it is functional, easily navigable and search engine optimized. 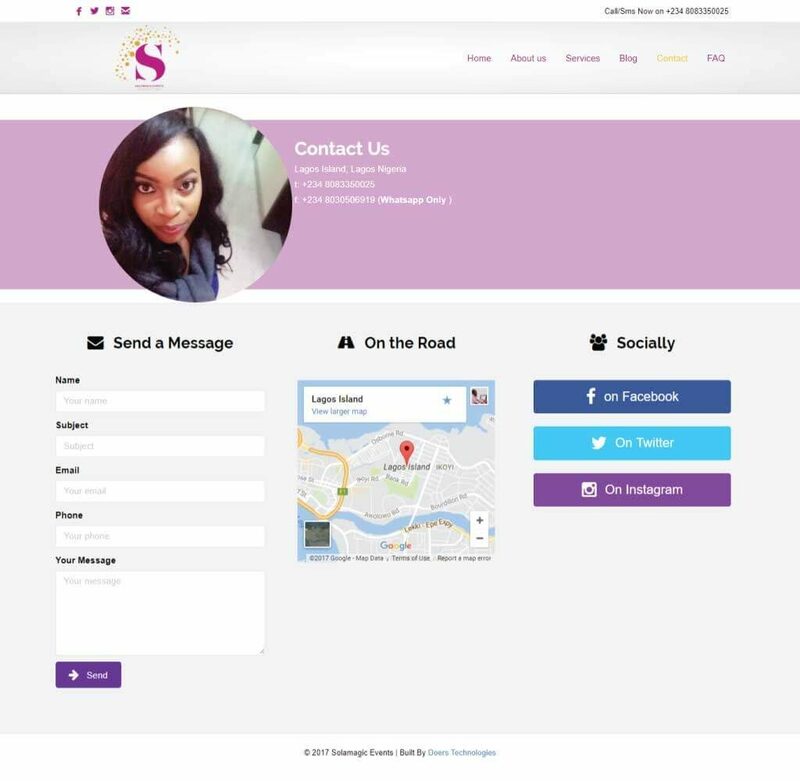 Generic contact form and sales form integration. Search engine optimized/site submitted to relevant search engines.